My most recent bowl of noodles (at Kyômi-ya in Roppongi, see below) made me realize that the time has come to recount another set of past noodle exploits, namely my discovery of the joys of daoxiaomian (knife-cut noodles). In Summer 2007, after finishing my journey through Xinjiang and the native place of the noodle, I arrived back in Beijing, where I spent several months studying Chinese at Peking University (Bei Da). I ended up loving the cafeteria food on campus, and there was one cafeteria I found myself at more than all the rest - the noodle house (mian guar). In addition to the basic cafeterias serving all manner of dishes, there were a few specialty cafeterias - one serving "American-style" fast food (plus fried rice), one serving boiled dumplings (jiaozi), one serving steamed dumplings (baozi), and of course, one serving noodles - no less than 30 different varieties. From Korean-style cold noodles to Uyghur-style laghman to Japanese ramen, and seemingly every permutation and combination of noodles and toppings from all over China, the noodle house had it all. There was a huge board with all the options written out, as well as a selection of photographs of the more popular styles displayed across the top of the glass wall that separated the busy cooks from the hungry masses. I tried out as many varieties as I could over the two or so months I was at Bei Da, some of which I discovered to be done well, and some which were a bit lacking. Different styles of noodles were dished out at different windows, so if you went to window 3 asking for noodles and broth with eggplant and green beans, you were outta luck. Likewise if you made the mistake of trying to get cold Sichuanese noodles at window 5. It was always a bit hectic trying to jockey for position at the window to get the teller to swipe your lunch card before the 3 or 4 others also jamming their cards through the hole in the glass. But there was one line that was always orderly and always long - the line for daoxiaomian. Of the six windows, one of them was reserved for daoxiaomian, and daoxiaomian alone. While other lines might be three or five or ten deep, the daoxiaomian window always had a line twenty long or more, and the noodles were usually sold out by dinner, not unlike the most popular ramen shops around Tokyo. After having a few bowls of various noodles at the cafeteria, I started to wonder just what could be so special about these noodles that made people line up for them. I got in line, and I was rewarded with my first ever bowl of daoxiaomian, and a high quality one at that, school cafeteria or not. The thick thick hand-cut noodles in the spicy, vinegary gravy hit the spot like no other, especially with a liberal garnishing of cilantro and a fried egg on top. As I mentioned below in the post on Kyômi-ya, daoxiaomian are made by a cook who holds a brick of dough in one hand and a knife in the other, slicing off noodles one at a time into the boiling water. Accordingly, daoxiaomian at Bei Da came up in batches, so you would have to stand still for five minutes before a sudden flurry of movement as bowls came up one after the other - being first or second in line at the end of a batch and realizing there was another five minutes of standing to go before you could get down to slurping was always a bummer. Later that summer, I took a trip to the place most reknowned for daoxiaomian, Shanxi province. I visited the city of Datong, only about five or six hours from Beijing, but in a different world. 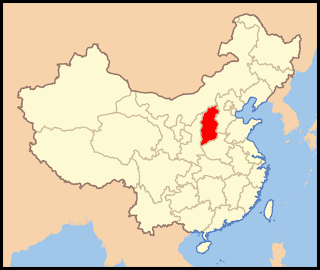 Home to a lion's share of the country's coal mines, Shanxi is impoverished rural China. Recently, the province has been getting more press due to the international success of local film director made good Jia Zhangke, who is probably my favorite film maker working today; watching his film "Unknown Pleasures" (set in Datong) was definitely one of the impetuses for the trip. Even though it's so close to Beijing, culturally Shanxi falls somewhere between China's parched Northwestern provinces and its frigid Northeastern industrial provinces. Either way, Shanxi is definitely wheat and sorghum country and not rice country - starchy noodles are a big part of the daily bread, as is bread itself. 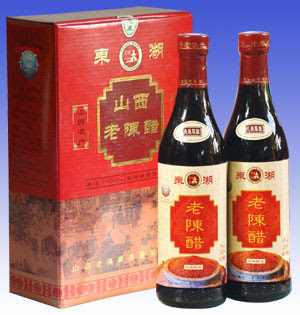 One of the characteristics that makes Shanxi daoxiaomian so special is the use of Shanxi vinegar - dark brown, complex, sour yet mild, Shanxi vinegar is definitely the most famous in China, and probably ranks up in there in the world. A vinegar museum recently opened in the province, and Shanxi apparently produces 200,000 tons of vinegar per annum. To quote the People's Daily party rag - "Chencu (mature Shanxi vinegar) is a kind of liquid with a delicate fragrance and the same color of Coca Cola. Scientific research shows that the vinegar contains 18 amino acids such as enzyme and lactic acid, and 17 kinds of trace elements such as calcium, iron, zinc and manganese, needed by the human body. The content of the acetic acid in Chencu is the highest among all vinegar products." Unfortunately, I didn't have the presence of mind to take photos of the daoxiaomian I ate in Shanxi, but believe me when I tell you they were extremely delicious, as were all the other noodles I ate while there, be they wheat noodles in soup or cold jelly-like "amyloid protein" liang fer. If you want to see a money shot of some real daoxiaomian, you're going to have to read to the end of this post. Back in Beijing, I searched around trying to find the best daoxiaomian I could. I found a good bowl at a hole in the wall east of the Drum Tower. I ate another good bowl in a corrugated shack by a construction site. Being such an impoverished part of the country, Shanxi provides a disproportionately high percentage of the migrant labor in Beijing, and noodles are a cheap and filling meal, so with the amount of construction in Beijing, a bowl of daoxiaomian usually isn't too far away. My favorite bowl in Beijing, the real cake-taker, was at a place that I can't remember the name of just off the North 4th Ring Road. Whatever this place was called, it was pretty fancy for a daoxiaomian restaurant - well lit, no dirty napkins on the floor, minimal amounts of trash on the tables - almost like a fast food restaurant. When I walked up outside the restaurant, I saw the best of all possible signs - no less than 15 taxis parked out front. Like with good Punjabi fast food in New York, the cab stand is a sure fire winner for quick, filling, delicious, and cheap. The line was nearly out the door, and you had just enough time to bark out your order (mostly just "large" or "small") before being hustled past the cashier. In addition to the noodles, this place (I think it had the character for "cloud" in the name) also served the traditional side dish of tofu and boiled peanuts - two things that I should love, but which always seem to taste a bit like cigarette ash at daoxiaomian restaurants. If there was any discrepancy between these noodles and the ones I had in Shanxi, I wasn't aware of it. Protocol was to give the noodles a solid dousing of the famous brown vinegar and a pile on a few spoons worth of hot peppers before commencing slurping, but I was less sure as to what the table-side raw garlic was for. Clearly there was no press (as per fancy places like Ippûdô in Japan), but a quick glance around revealed that the done thing to do was to peel the garlic and hold it in one hand while holding your chopsticks in the other, taking a small nibble of the garlic every few bites. The first time I ate there, I made the mistake of asking for no meat on top, and so got served noodles in a gluey soup with tomato and egg, missing out on the succulent brown gravy. The next time I ordered the standard noodles and just brushed the bits of pork (I think it's pork?) aside, enjoying every vinegary bite. Back in New York, there are a couple of places that serve up daoxiaomian, most notably the string of restaurants on Eldrige Street in Chinatown. These places, serving what the great Robert Sietsema calls "peel noodles", are mostly run by recent immigrants from Fujian, rather than people from North China. As a result, although the atmosphere is properly in line with daoxiaomian shops in China, the soup is much thinner, lighter, and less spicy, and toppings are more in line with South China staples like fish balls. That is to say, meatballs made of ground fish, not fish testicles. What makes daoxiaomian special is the thick, knife-cut / peeled chewyness, so the Eldridge Street places still scratch the itch, but their noodles aren't quite the same as on the mainland. I'm not sure if it's possible to get true Shanxi-style brown vinegar noodles outside of the PRC, but I'll be damned if I don't give it my best shot while in Tokyo. nice post. I would love to follow you on twitter. By the way, did anyone know that some chinese hacker had busted twitter yesterday again.